For the first time in a while, I find myself looking for something posted about UB everyday, haha. This team has me so hyped this year. I love to see our exposure nationally, as well as our stock rising overall. Go Bulls!! DVR it while you're watching. You can replay it all you want, and skip the commercials. My wife and I have enjoyed season tickets for the past 8 years in Section 114 Row P...aisle seats. If they tripled the price, it would still be a bargain. Our daughter will be starting a fellowship in Ann Arbor in July. She wanted to know if we would be interested in going to one of the basketball games there. Until she found out the cost - from 5 to 50 times the cost of a UB ticket. In reality, both points of view are entirely understandable. KJ clearly thinks that transferring to a higher profile conference will improve his career opportunities. He has graduated and is well within his rights to make such a move. I won't happily cheer for him, however, in his new landing spot. KJ may feel that the move is best for him, and if so, is entitled to transfer. It is a slap in the face, however, to the school that has developed and educated him for the past four years. The covenant between school and player should be of mutual benefit. KJ was clearly not prepared to contribute as a freshman. The best move, for program and player, was to redshirt: Osborn maintains eligibility, learns the game, and grows stronger. It also ensures a fifth year of tuition free undergraduate or graduate education which is of lifelong benefit. UB earns a fifth year experienced player better ready to contribute down the line. In transferring for his senior season KJ still pockets his benefits, while UB loses out entirely on their investment. Miami and other P5 schools further have no cause to pause when recruiting away a ready made graduate transfer from their G5 brethren. The NCAA, in order to maintain some semblance of a level playing field, needs to address the situation. Some form of compensatory transfer of scholarship(s) from the recipient institution to the donor, so to speak, seems most fair. Miami wants a polished 5th year starter from Buffalo? Two scholarships transferred to Buffalo in exchange. If we are to serve as a farm system to the schools we are expected to compete against we ought to have the benefit of casting a wider net up front. In this manner, player movement remains free but a cost is extracted from the bigger institutions almost always on the receiving end of top talent from the Buffalo's of the world. For the record, I am a physician. I graduated from UB undergrad and medical school. Within the medical world people are generally upset when someone leaves a practice to work at a perceived competitor. Onerous restrictive covenants are commonplace. My own contract has a two year non-compete for the region with a buyout well into the six figures. Want to move to a "better job?" Be prepared to have a pound of flesh extracted and expect hard feelings from the former partners who have aided your professional development. Thanks Dooley. Brock looks to be rated higher than I thought. I like the idea of seeing Fagan some more. I think he's got a lot of potential. I'm not sure I'm sold on Bertram. I know he had a few good points last game, but the dude is S L O W... like his movements are way too sluggish. The folks on Reddit have us at #12 this week. 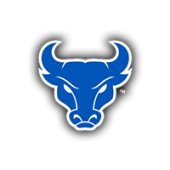 Big 4 Update: UB primed for a huge jump in the rankings! I'm not sure we move up that much. There is a difference between us losing in the MAC and a P5 loss. We won at home so we should stay where we are. My only concern is what happens when we lose away in MAC. Will we drop out of top 25? I hope that's not the case. The big difference between Osborn, compared to White and Rushing. Osborn was a starter that was already getting plenty of playing time and, barring injury, was likely going to be UB's #1 receiver next year. White and Rushing were getting very limited playing time at their previous schools and the transfer likely got them more playing time this past season than they would have received at their previous schools. I’ll take Jordan 8 days a week. Much better defender. As good at dishing. Better at getting to the basket, and better from the outside. Only advantage that Bearden had is he is a much better free throw shooter. Bearden is injury prone and not a guy whom you can count on. Jordan may not have been as highly rated when he came to Buffalo, but I’m glad that he’s a Bull. Bearden...no thanks. Here’s an update on the top 25 teams who have lost this week. 11, Auburn, 1 loss 12, UNC, 1 loss 13, FSU, 1 loss 14, Mississippi State, 2 losses 15, NC State, 1 loss 16, Ohio State 2 losses 17, Houston, 1 loss 20, Iowa State, 2 losses 22, Indiana, 1 loss 23, Oklahoma, 1 loss 24, SJU, 1 loss 25, TCU, 2 losses I imagine we’ll move up to 16 passing Houston, OSU and MSU. I could possibly see us passing NC State but they also had a nice win today at home against a solid Pittsburgh team. They could also penalize UNC pretty hard after they got beat by at home by Louisville by 21 today! I see no risk of anyone to behind us jumping us. Ole Miss is likely to make the biggest jump after beating two top 15 teams this week including 1 on the road. Loving the CBSSN coverage! Especially road games. Okay, one more... I think this does the best job of showing how each fan-base reacts to their team's success. The range of the secondary y axis (attendance) was stabilized for all teams (I hadn't noticed that the scale changed in the previous picture). The individual team websites were used to verify the '09-'10 attendance data (that the MAC site lacked), so that year is no longer just an average. I was also able to get some additional attendance data, prior to '06, for some of the teams. Anyone pay attention to the fact Troy's coach Neal Brown is the new head coach of West Virginia? He makes the jump from a G5 program to the big time. I was impressed with the job he did in the DGB. Halftime adjustments, coming out with the on-sides kick and controlling the entire 3rd Qtr. That won em the game. I thought they out-coached the UB staff in that game.